January 22, 2019—Melonie Unger fondly remembers celebrating her childhood birthdays each year with her grandmother. They would spend the day together shopping at her favorite department stores and eating at special restaurants. Now, Melonie devotes time during retirement to making new memories with her friend Shirley Beckeman, a resident at the Nottingham in Syracuse. Unger developed a relationship with Beckeman after seeking a volunteer opportunity with InterFaith Works’ One to One program. The newly launched program matches caring, trained volunteers with residents in nursing homes and long-term care facilities who do not have regular family, friends or community-based visitors. The American Association of Retired Persons (AARP) recently labeled isolation among older adults a “growing health epidemic.” Elders in nursing homes face increased risk of isolation and become vulnerable to negative health outcomes, including physical decline, mental health issues and premature death. Unger’s family ties, passion for developing connections and spreading joy with others made her a perfect fit to volunteer for the One to One program. Each volunteer is paired with a resident for a weekly one-hour visit, to encourage elders to talk about their week, share their joys and sorrows and enjoy a sense of connection. Volunteers are trained to coordinate with facility staff and out-of-town family, in order to support the needs of the elders they visit. During her first visit with Beckeman, Unger noticed that the two had a lot in common – they both skied at the same ski mountain for years and shared a love of gardening. Unger accompanies Beckeman on her walks to dinner and helps her retrieve phone messages and emails, daily tasks that have become difficult with her declining vision and mobility. For 32 years, InterFaith Works’ volunteer programs have addressed isolation of the aging. 93 percent of its participating elderly clients reported feeling more socially connected when they interact with others. 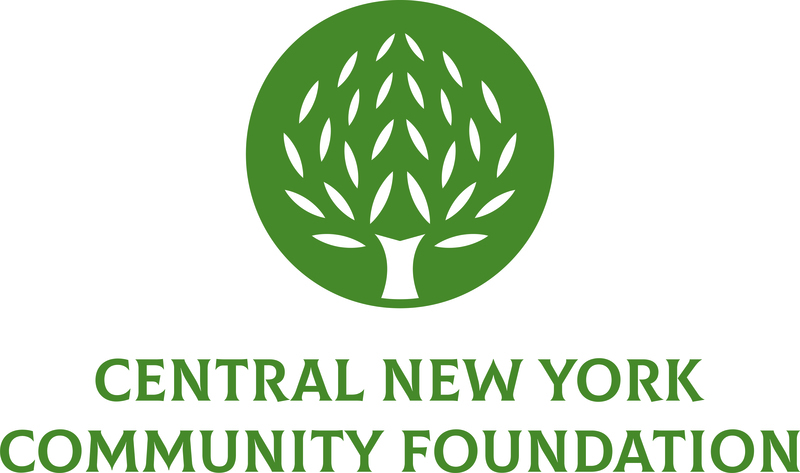 The Community Foundation provided the organization with a $30,000 grant to continue the One to One program for another three years. This is one of 17 grants the Community Foundation awarded in December to nonprofit organizations, totaling $695,292. InterFaith Works intends for the program to become fully sustainable within 3 years so that it will make a long-term impact on the lives of isolated nursing home residents throughout Central New York. Access CNY received $75,000 to replace its elevator and HVAC system to ensure visitor safety and comfort. Advocates received $10,000 to conduct training sessions for staff and individuals to learn how to electronically access case records and service options. Aurora CNY received $14,400 for its children’s hearing aid program that provides audiology and hearing services for families and children. ESF College Foundation received $60,000 to hire a full-time educator for its Waterflow and Wetlands Conversation program that provides students with guidance while out in the field conducting research. Everson Museum received $50,000 to launch a rebranding initiative and marketing plan to broaden its outreach. Friends of Rogers received $13,500 to purchase a 15-passenger van to help Madison County residents better access its programming. Hillside Children’s Foundation received $50,000 to provide Regents preparatory program for at-risk youth. InterFaith Works received $30,000 to support its One to One program, which matches volunteers with aging residents in facilities that may not have loved ones to visit. The Landmark Theatre received $75,000 to install a new sound system that enhances the visitor experience. Neighborhood Innovations received $100,000 to purchase an emergency generator for its Freedom Commons apartment building, which contains affordable apartments and a homeless shelter in Syracuse. Rescue Mission Alliance received $36,760 to install seamless dividers to prevent the spread and breeding of bedbugs within its shelter sleeping areas. Purpose Farm received $24,975 to purchase a new tractor that will be used daily and year-round by volunteers and during its youth mentoring sessions. St. Joseph’s Hospital Health Center Foundation received $8,897 to replace carpeting in its Wound Care Center to prevent contamination and public health issues. Syracuse Model Neighborhood Corporation received $45,000 to purchase new kitchen equipment for its new Community Cafe on Syracuse’s Southside. The Cafe will be the home of a new culinary training program for at-risk individuals. Syracuse University received $19,760 to support a new training program through its Falk School in collaboration with MAMI for interpreters and psychotherapists that work with resettled refugees in Syracuse. United Way of CNY received $45,000 to purchase technology equipment for its new office location. Women’s Opportunity Center received $37,000 to purchase a new van that will transport women to other skill-building activities off-site.